Rust is terrible. Product pictures are pretty, but the items we sent were dullened somewhat by the glass part, rusty inside the metal part which becomes the base of the glass, thought that it was the first such kind of color, but it was rust entirely inside. It may be okay, but I think that it can not be used when it is important. This review is about item#40162306. The price is cheap and it saves expenses, it is saved, quality does not matter. This review is about item#40162367. Even cheap, you can use with confidence, there is nothing wrong. It is brighter than I thought, this is enough for normal times. Cospa Good. Lifespan is long too! It is! There is a time when somewhat brighter one is saved, but high brightness is usually troubled because it is high Kelvin oriented. White is vulnerable to bad weather such as fog and rain. This review is about item#40162351. Especially it was able to be used without problems, it is cheap and it will be saved. It is too darker than I thought. I think that it is brighter than genuine at all, it is dark and can not be used. The optical axis does not come out. It was a loss of bad quality goods, cheap buying. The price is one-third of the leading manufacturers of the same standard, but I was surprised to install it. It sounds like a bicycle light. I just said that it is cheap and bad. Since years have passed, it is a replacement for a new one. Performance is okay with no brand. Lifespan expects from now. After installing, I saw things that passed for 1 year and a half, but the inside of the bulb was blackened. I heard that the halogen bulb will not turn black, so it may not be a halogen bulb. Although it is an amateur opinion, I will assume it is a low evaluation. Although it is smaller than the specified wattage, it is still halogen, so if you do not want to live it is necessary enough brightness. The filament which is poorly wattage is thin, expensive and durability is low, so I think that it is the best product from the viewpoint of durability and price. I wrote it as halogen, but I do not know the difference between normal and well. 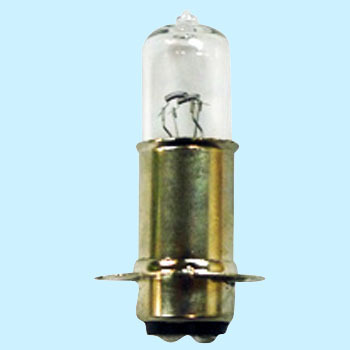 Whether it is halogen, it is a plagiest place. Light color is not halogen and light intensity is not halogen. You can use it inconveniently, without trouble. It is sufficiently bright while 18 W, it is cheap with halogen bulbs even among halogen bulbs, it is perfect for usual use. The incandescent bulbs are comparable in price but the color temperature is halogen-free and can be used comfortably. I tried replacing it because the light of the Super Cub is dark, but it is like whether it feels bright. It may be better not to expect expectation with the word halogen. Also, the switching between Hi and Low was reversed. Although other people are also written, it seems that the joint between the valve part and the socket part is in a state like red rust, and the valve is slightly bent and worn. Well, more than such a thing, it is impossible as a product just after 3 months to put on a tame out! It was good because it was for yourself, not for customers, I will never buy it again. I purchased it by saying halogen but it was an ordinary valve. It was a useless expense with a genuine valve. If you use it as a substitute for genuine bulbs, you can forgive, but the light is not white but the color of the orange ordinary light. It is absolutely not a halogen. Is it now impersonation display of spears? A sense of convenience is thin if it is an ordinary valve.